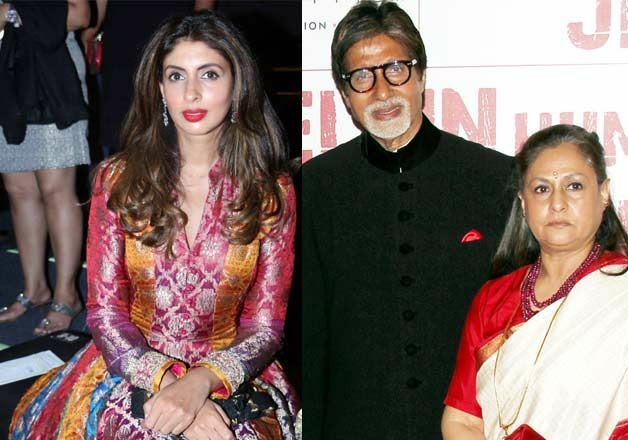 Shweta Bachchan Nanda's debut novel Paradise Towers, about everyday life in a Mumbai apartment, will be launched on the eve of her father Amitabh Bachchan's 76th birthday on October 11. Shweta was introduced to writing and reading by grandfather Harivanshrai Bachchan, a poet and a writer. She had been penning stories since she was young, but did not share it with anyone until she decided to take the plunge and turn author. shweta recently turned designer with a clothing line, MxS World, launched in collaboration with designer Monisha Jaising. She even did a photo shoot with daughter Navya Naveli Nanda for her clothing brand. Big B then, took to his Instagram account and posted a picture of the newbie, writing, "And the brand wagon gallops on relentlessly pre orders pouring in and my admiration for daughter and 'natin ' Navya endless. shweta also made her screen debut alongside her megastar father in an advertisement for a jewellery brand. This was Amitabh Bachchan first screen outing with Shweta. Amitabh Bachchan has been the brand's face since 2012.
on the work front, the 75-year-old Piku star is currently shooting for Brahmastra. It is a fantasy adventure trilogy. Its first part is slated to hit the screens on Independence Day, 2019. The film also stars Ranbir Kapoor, Nagarjuna and Alia Bhatt. This will be the first time Amitabh will be seen working with Alia and Ranbir.